At some point everyone has looked at wireless tank monitoring to help improve business operations. For commercial and residential providers, the need to ensure that there is enough fuel available to power appliances and heating devices for homes is the bottom line. “Run-outs” can have serious implications in terms of solution providers. Financial responsibility for property damage from burst pipes due to cold, and other similar scenarios can have a dramatic impact on manage service providers and their businesses. However, even with all this potential risk, the cost of cellular and satellite wireless solutions has been too much to justify their implementation in many cases. The elevated costs associated with these technologies [typically higher in device costs, connectivity and maintenance] dramatically reduce the value of a wireless monitoring solution, to the point where it is such a prohibitive factor that deploying is not even a consideration. Another option is available in the wireless space that hits all the checkboxes including cost efficiency, long life, reliability and stable cost structures. LoRaWAN™ is a wireless technology that has been around for years, proving itself both globally and in other markets. The technology is now available for tank monitoring offering low total cost of ownership programs, while providing the reliability and ease-of-use needed to support the tracking of even the most remote tanks. LoRaWAN [long range wide area network] offers low power consumption [for extra long battery and device life], long range [coverage can be as wide as needed], high reliability and the technology is optimized for use cases where requirements include extended coverage in remote areas for wireless data communications. It also utilizes low cost battery powered devices that offer long application life [> 10 years battery], near-zero maintenance and low connectivity fees. The long-range component is a key factor. Fuel tanks are typically deployed in rural and remote areas where cellular connectivity may not exist. Currently in these cases, tank monitoring solution providers only have more expensive satellite-based connectivity as an option. LoRaWAN networks solve this issue because environmental limitations will not hinder the ability to deploy. In terms of the long life and near-zero maintenance, LoRaWAN offers significant enhancements major differences over other wireless technologies. LoRaWAN is asynchronous, which means it only “wakes up” or is active when needed for data communication. Cellular is synchronous, meaning it is always active, which is where the disparity in data usage costs, and impact on life expectancy of batteries and devices is realized. Additionally, this differing technology approach also means that LoRaWAN is 3-5 times more power efficient than cellular. Why is this an important factor? It relates directly to battery usage and maintenance. Because cellular devices are always synchronized and listening to see if there is a pending message, battery replacement will be required much earlier and more often than with LoRaWAN devices. The result is an increase in maintenance costs in the form of battery replacement, as well as labor and other associated costs including a poorer overall customer experience. An additional benefit to suppliers and organizations of the low total cost of ownership programs enabled by LoRaWAN is controlled costs between high usage tanks and low usage tanks. High usage tanks typically require fill-levels to be communicated once per hour, whereas low usage tanks are capturing usage once per day. However, because of the technology differences, LoRaWAN offers the opportunity for stable costs across the two. The variability between high and low usage has implications and affects the operations side for solution providers in terms of cellular versus LoRaWAN for wireless connectivity. Because of the way cellular approaches billing for data use, the costs are variable, which requires more effort for the billing and tracking process… basically more work for the solution provider without the opportunity to streamline processes. With LoRaWAN, its one price for any connection. It doesn’t matter when or how many times levels are communicated – hourly or daily – the connectivity fee will remain the same in all cases. This allows suppliers and solution providers the opportunity to review their business models with an eye towards potential new approaches, while streamlining operations and processes. What type of wireless connectivity is available [or can be easily deployed] in my region or service area? Over how many years do I need my solution to be in service? What are all the real costs to providing a wireless service? Do I need any special or additional equipment to help enable the service? Can I use existing gauges and connectors, or do I have to replace and provide new ones? Overall, LoRaWAN provides a solution that utilizes low cost battery powered devices that will last more than a decade without having to replace batteries or need servicing. 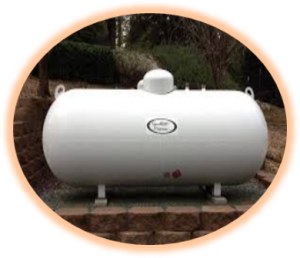 Solution providers only have one set cost to track per connection, and this is the same model no matter what type of tanks need to be monitored, or how often levels need to be communicated. There are no special requirements for installation or connecting, and in fact, there is a wireless interface available – the eleven-x TIU-X wireless tank interface – that enables wireless connectivity using existing tanks and gauges, so there is no need to replace currently useful tanks and equipment. Why eleven-x for Wireless Tank Monitoring? eleven-x is Canada’s LoRaWAN experts, operating Canada’s first and only coast-to-coast public LoRaWAN network optimized for IoT applications like tank monitoring, smart metering, asset tracking, bin-level monitoring, smart agriculture and many more use cases. We offer unmatched connectivity and wireless expertise and our TIU-X wireless tank monitoring device enables easy wireless connectivity with currently deployed tanks and gauges. We support our partners who provide a fully managed solution that offers a reliable, secure, cost effective and built to last for more than a decade. 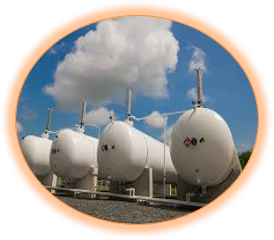 Let’s connect about tank monitoring solutions that provide real value for managed service providers and customers.